With four decades of real estate development experience, Zinkin Development has developed properties of all types, including single and multi-family residential projects, retail shopping centers, garden office plazas, and class A multi-story office buildings. Though the company has experience across all realms of real estate, it specializes in retail, commercial development and class A multi-story office buildings. Currently, Zinkin Development owns, operates, and manages approximately 1,000,000 square feet of retail, commercial space, 270,000 square feet of office space, and 31,000 square feet of warehouse space. The company has successfully negotiated leases with many national and regional tenants, including ground leases and build-to-suit leases. The more notable tenants include Target, Vons, Lowe’s, Sam’s Club and Steinmart, to name a few. 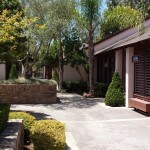 Today, Zinkin Development is planning and developing the northern Fresno region with three major back-fill properties. Sugar Pine Square, Park Place Offices, and the 40-acre mixed-use Park Crossing Center. Zinkin Development’s newest projects will capitalize on a quickly growing north Fresno market. Strategically located at the nexus of Friant Road and Highway 41. All properties are highly visible, conveniently accessible and pedestrian-oriented. The combination of these projects will provide an enticing and desirable mix of shopping, dining, entertainment, business and residential opportunities. Towne Square is a 12,000 square foot shopping center anchored by GameStop, Baskin Robbins, Starbuck’s, AT&T and others. Towne Square is strategically located on West Shaw and enjoys exceptional surrounding retail synergy from many national, regional and strong local tenants.In excess of 42,000 cars per day pass Towne Square. Easy access, strong demographics and superior signage are among the many features of Towne Square. Gettysburg Address in a 94,000 square foot shopping center anchored by Fresno Ag Hardware, Family Dollar Store, Little Caesar’s Pizza, Subway, Chief Auto and many other regional and local tenants. Fresno Ag Hardware has been in continuous business since 1876 and is Fresno’s oldest business. Gettysburg Address is known for its distinctive architecture, excellent demographics, superior traffic counts and lush landscaping. 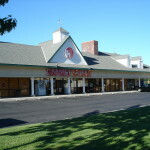 Mardi Gras Shopping Center is a 33,000 square foot shopping center anchored by nationally known Marie Callender’s Restaurant and Applebee’s Neighborhood Bar and Grill and other strong local tenants. The center benefits from high traffic counts, unique architecture and excellent demographics. Further, Mardi Gras is located in the heart of the vibrant West Shaw retail corridor long recognized as one of the top retail areas in the Central Valley. The Gateway Project, with its unique architecture and inviting landscaped courtyard, is an office and light industrial/distribution development located in the heart of the Fresno Airport Project, a 500 acre master planned development. The 100,000 square foot project is located within a short distance from the Fresno Yosemite International Airport, the Central Valley hub for passenger, cargo distribution and military aircraft. The airport transports over 1.4 passengers per year. Private air traffic makes up the majority of air traffic which makes the Gateway Project ideal location for meeting out of town clients and customers and the air distribution of cargo. Times Square Shopping Center is 150,000 square foot project anchored national tenants such as Big Lots!, Ross Stores and Chuck E. Cheese Pizza. Other national tenants include Subway Sandwiches, Sizzler Restaurants, Rent A Center and Union Bank of California and others. The unique architecture was designed around a central clock tower. 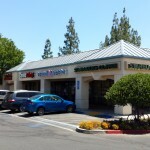 The center is strategically located between Freeway 99 and Highway 41 on Shaw Avenue. 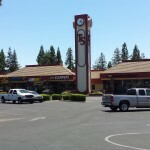 Time Square is also located on the West Shaw retail corridor known as one of the top retail hubs in Central California. The center also benefits from excellent traffic counts, superior demographics, easy access and lush landscaping. 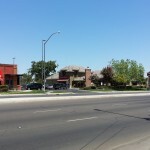 Peachtree Plaza, featuring exceptional architecture and lush landscaping, is situated along Kings Canyon Road in southeast Fresno. The highly-trafficked Kings Canyon Road arterial gives the shopping center incredible exposure and brings 43,375 cars per day to the intersection of Peach Avenue and Kings Canyon Road. Peach Avenue has recently been upgraded to a four-lane boulevard connecting Highway 180 to the north and the rapidly expanding residential developments to the south of the property. The shopping center is anchored by WinCo Foods and CVS Pharmacy. Peachtree Plaza also includes national co-tenants such as Goodwill Industries, Baskin Robbins, Panda Express, Shoe Palace, and T-Mobile, among others. The shopping center contains 50,000 square feet of shops, featuring a variety of national, regional and strong local tenants. Peachtree Plaza is the ultimate location for a thriving retail environment. The shopping center has exceptional visibility, effortless access and is surrounded by dense residential population. In addition, the center is located across the street from Sunnyside High School, which has over 3,000 students on a rolling basis.